Well, I think the holiday season is officially here. I’ve started my holiday baking, attended our first Christmas party of the season, aaaand I’ve come down with a nasty head cold. Just in time for all the holiday cheer. Yesterday all I could bring myself to do was sit on the couch and continue to stare at our fall decorations that are. still. up. Ugh. So, according to Facebook and Instagram, everywhere is looking more like Christmas except for our apartment right now. Because, right now it’s just cluttered with used Kleenexes. That said, I’m cutting right to the chase today. 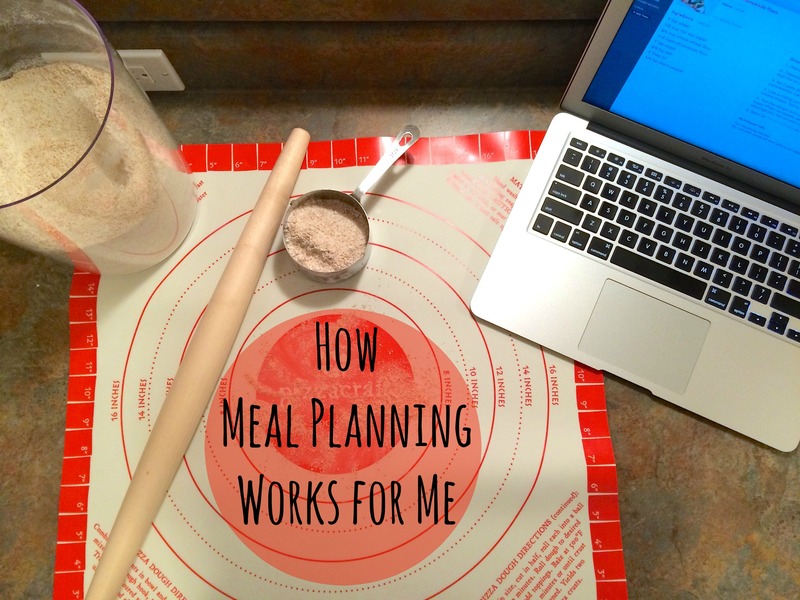 Last week I talked about how to make meal planning work for you and today I’m going to fill you in on how meal planning works for me. I know you guys were all just dying in suspense as to what I was going to be sharing about today after the cliff hanger I gave last week…right? Humor me a little…I’m not feeling well. There’s no right or wrong way to go about meal planning, but I’ve found that Paprika, a recipe manager app, works the best for me by far. I’ve been using it well over a year now and I still can’t get over how handy and helpful it is. If you don’t get anything out of this post, I hope I can get across to you how much I love this app! And just to throw this out there — no, I’m not getting any compensation for promoting Paprika and I wasn’t asked to talk about it. I am truly just that excited about it. If you’re the type that likes to write things down, then this probably isn’t the tool for you. It’s great if you want to go paperless, though. To start, one of the reasons I love this app is because it is a recipe storage app, grocery list app, and a meal planning app all in one. It makes it so easy to drag stored recipes into my week’s menu and also to quick double check what I need at the grocery store (you know, for when you put down on your grocery list that you need chicken broth, but then realize at the store you’re not sure if you needed 3 cups of chicken broth or just 1 cup). 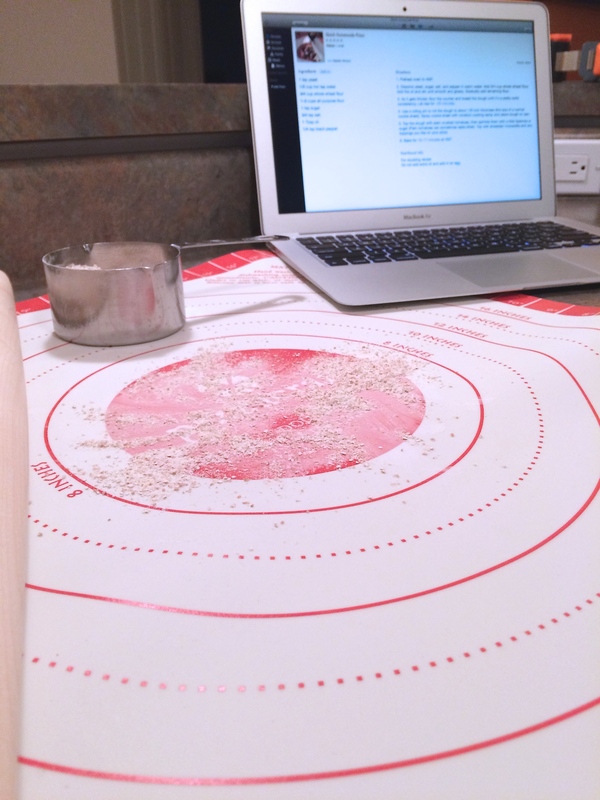 Before Paprika, I was struggling with how I wanted to store and organize my recipes. I never had a great system, what with a recipe box with “family favorites,” a binder full of magazine clippings and printed recipes from online (in no particular order, I might add), and my Pinterest account. Being the Type A person that I am, this was not going to work longterm and the sooner I switched over my recipes, the better. Since my husband is anti-printers (because let’s be honest, when are they ever really working? ), I wasn’t sure I wanted to go the paper route. In comes Paprika. Best money I’ve ever spent for an app. Believe me, I had my reservations, like what happens if my computer crashes or gets stolen (it happened — all my recipes were safe) or if the app somehow becomes obsolete or outdated? My recipes are near and dear to my heart, so there was no way I was going to be going into this without a little research and convincing from Philip. But after my tech-savvy husband was confident my recipes would be safe and sound in the Cloud (it’s a wonderful thing, my friends! ), I knew it was worth it. Adding recipes into Paprika is a breeze. And since most of my recipes I find online, it’s so easy to upload recipes. 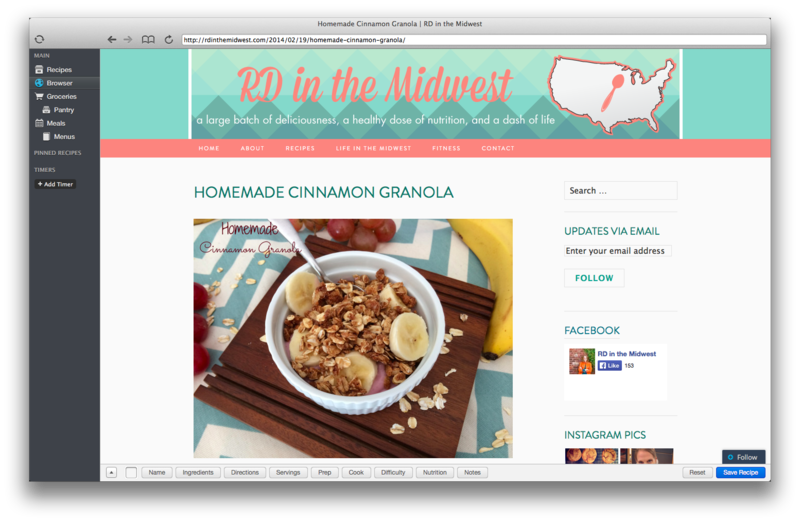 With a click of the button, most recipes are added with the content inserted for you. No writing. No typing. Done. I can put recipes in multiple categories! I mean, how’s a girl to know whether beef stew goes under “beef” or “soups”? These are things that keep me up at night. Plus, I love that it’s totally customizable. I added a “New” category so I always know what recipes are ones I want to try out before they get lost in the shuffle of all my other recipes. This is also perfect for lazy people (which I tend to be some of the time). In case I don’t even want to go to the categories that I so painstakingly made, I can just do a quick search either by recipe name, ingredient, or source. Tell me this isn’t better than recipe cards. It’s so easy to share recipes now. A click of the button and an email is sent. You know what it’s like when people want a recipe of yours. It’s an honor to have somebody want a recipe, but it takes work. 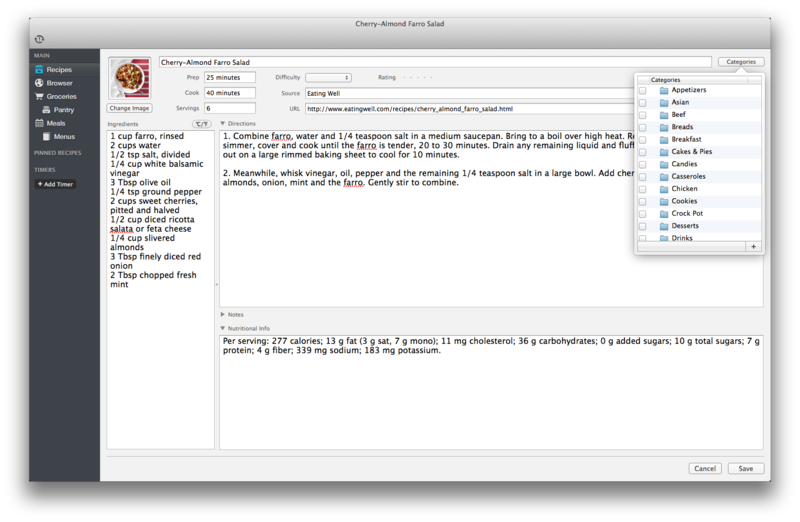 This little feature is especially useful with my job when clients are asking for recipes all the time. No more chicken scratches and scribbles on recipes. 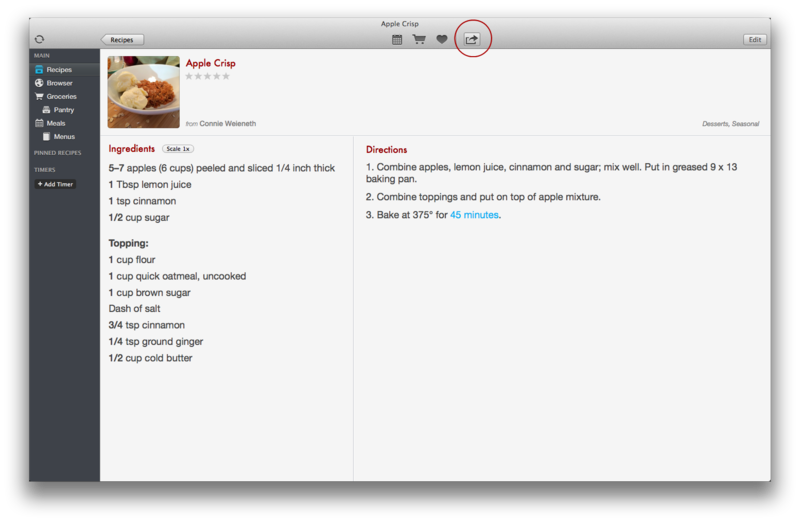 Paprika lets you easily edit, make notes on the recipe, scale the recipe up or down, or add your own pictures. 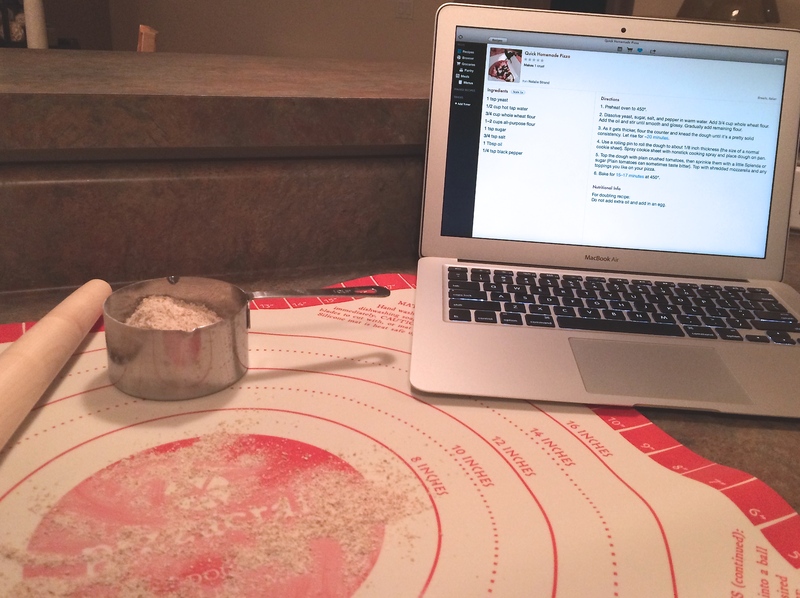 My recipes are always a click away. Literally. 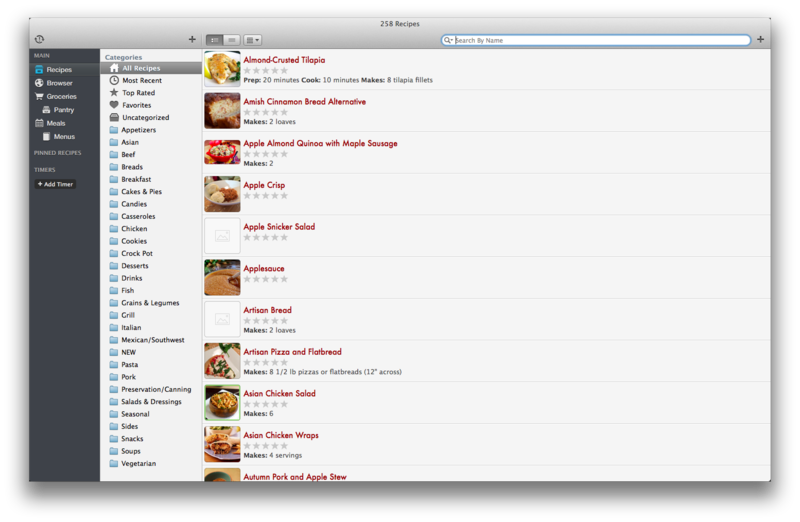 Since Paprika syncs with all devices, I can always look up recipes on my iPhone. This is actually more handy than I originally thought it would be. It’s useful at the grocery store when I’m not quite sure how much I need of something, but the real bonus is that Philip also has Paprika on his phone and can get started on supper before I get home — he sees what’s on the menu for the night and has the recipe right there to get started. Gosh, I love him. But best of all, let’s get to menu planning, shall we? 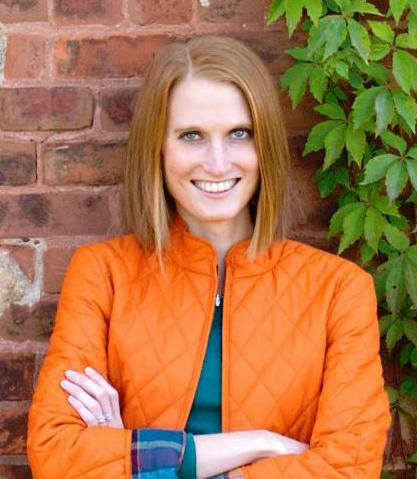 This app makes it so simple, you hardly have any excuse not to do it (plus, it’s kinda fun). 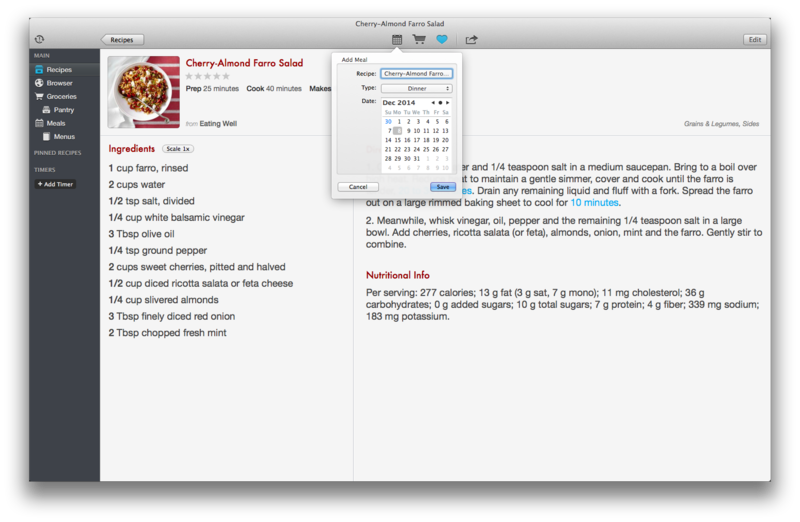 Choose a recipe and from a drop down tab, select the date you want to plan on having it and for what meal. For meals you don’t have a recipe for, you can make a note, such as “leftovers” or “out to eat.” Easily switch recipes to different dates (like that soup recipe that just keeps getting pushed back farther and farther on my monthly calendar), delete recipes from your meal plan, or drag recipes to different days in the week until you have it planned out. If you plan by the week, every two weeks, or even a month out, Paprika makes it easy to plan and see everything. 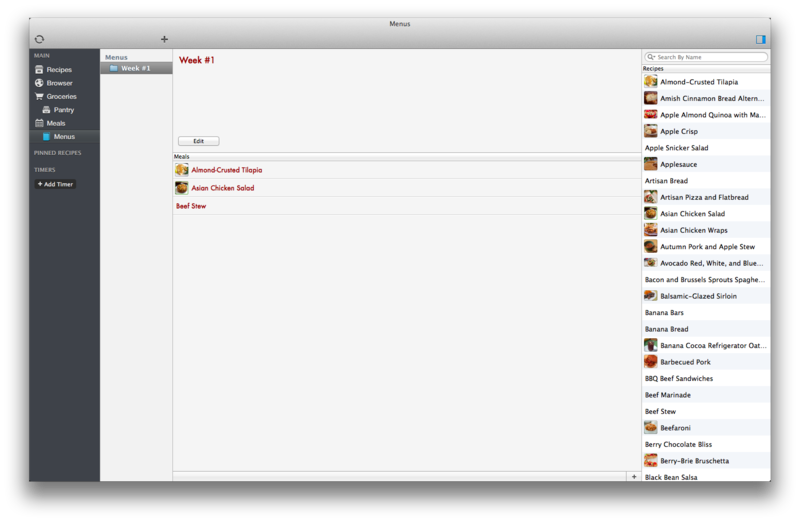 One last thing, you can save “menus” in case you go in a rotation or want to have a “standard” for those weeks when there’s just no time to plan out a new menu for the week. Paprika may not be for everyone, but it may be worth a try. If you find another way that works for you, I’d love to hear it! The main thing is that you start meal planning to limit your stress with meal preparation. Next week another recipe is coming! Stay tuned. I HAVE BEEN DYING FOR YOU TO WRITE A BLOG ON THIS!!! My all time FAVORITE app. I am seriously forever indebted (right word/spelling?) to you for introducing me and my new found love!!!! EVERYONE needs to spend the money on this app. There is NO other way!!! P.S. May I please have your recipe for Apple Crisp :)?